MonkeyLittle | Thoughts on Software Engineering, Infrastructure and everything in between. setting up ssh for GitHub. automating the configuration of the Jenkins job(s). creating appropriate Jenkins slave images. In this post I’ll describe how to set up SSH for GitHub. To set up SSH for GitHub I created a ConfigMap containing the ssh config. I did this by creating the ConfigMap from a file. The SSH config specifies the identity to use as ~/.ssh/id_jenkins_rsa. As the private key is something I want to secure, I will generate the key and store it as a Kubernetes secret. First, follow the instructions on GitHub to generate a new ssh key and add it to your Github account. Then you can store the private and public key as a Kubernetes secret. Now that we have made the SSH config and keys available to Kubernetes we need to configure the Jenkins container. I’ve done this using the Kubernetes Init Container feature which is in beta as of version 1.5. This means that the official Jenkins image is based on the openjdk:8-jdk image (Java 8 JDK is installed) and that the Git client is installed. There is nothing to suggest that Maven is installed and we can verify this by creating a new bash session in the container and listing the installed packages. To install maven we use the Docker RUN statement in the Jenkins/Dockerfile to invoke apt-get install. This requires us first to become the root user and subsequently to resume as the jenkins user. To achieve the same level of automation with Docker and Kubernetes, I will need to be able to perform all of the above and distribute as a set of Kubernetes resource definition files and Docker image(s). Before we start doing anything meaningful, I want to disable the setup wizard because, after all, we will be automating the Jenkins setup. To do this I modify the Kubernetes deployment resource file to specify a JAVA_OPTS environment variable. Cost per unit of scale increases with the size of the hardware. Complex software configuration required to support a large variety of job types. Deploy statically provisioned Jenkins slaves. Deploy dynamicaly provisioned Jenkins slaves. Deploy multiple Jenkins masters with statically or dynamically provisioned Jenkins slaves. There are a few things to consider when choosing how to scale your Jenkins infrastructure. If you choose to deploy multiple master you should have an efficient and effective way to manage them. At a minimum, you should use configuration management or orchestration tooling to manage the lifecycle of the instances themselves. You should also consider similar for managing plugins, jobs etc. In the past I have had great success using tools like Chef and Job DSL to manage build infrastructure. If you choose to use slaves, consider if you should provision bloated slaves capable of performing any build Job or if you should provision specialized slaves. By default disk files in a container are ephemeral. This means that when the Jenkins container fails and is recovered (or indeed when an upgrade occurs) that the data within the JENKINS_HOME directory is lost forever. It would be desirable to have the JENKINS_HOME directory preserved across failure, recovery and upgrade processes. This can be achieved using Kubernetes Volumes. We cannot talk about Kubernetes volumes without understanding the Docker filesystem. 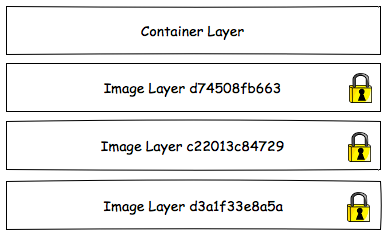 The Docker filesystem is composed of a number of layers starting with one or more read only image layers. When a container is created, a read/write container layer is added to the top of the stack. When a file is read from the filesystem each layer is inspected from the top of the stack to the bottom until the file is found or the bottom of the stack is reached. When a file is modified it is first copied to the top of the stack and so the next time it is read the modified file is found first. Thoughts on Software Engineering, Infrastructure and everything in between.